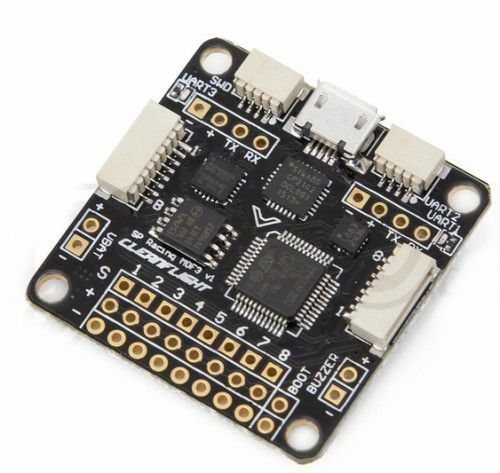 *The Seriously Pro Racing F3 Flight Controller (SPRacingF3) was designed to give awesome flight performance based on tried and tested sensors whilst also providing unparalleled and I/O capabilities in a small and extremely lightweight form-factor using a next-generation CPU. *Flight Performance: The SPRacingF3 builds on tried and tested software, processor and sensor technology to make your aircraft fly like it's on rails. *Configurable. The SPRacingF3 runs Cleanflight which can be configured to suit your needs using a cross-platform GUI (Windows/OSX/Linux). *Flight Logging. On-board high-capacity black box flight log recorder - optimize your tuning and see the results of your setup without guesswork. *Developer Friendly.Developer friendly debugging port (SWD) and boot mode selection, unbrickable bootloader. *Broad RC receiver Support. Supports SBus, SumH, SumD, Spektrum1024/2048, XBus, PPM, PWM receivers. (No external inverters required (built-in).) *Battery Monitoring. Battery monitoring ports for voltage and current. *I2C Port. I2C port always powered, perfect for external sensors or always-on OLED Screen. *No-Compromise I/O.Use all the features all the time; e.g. Connect your OSD + SmartPort + SBus + GPS + LED Strip + Battery Monitoring + Sonar + 8 motors - all at the same time! *Tiny and lightweight. 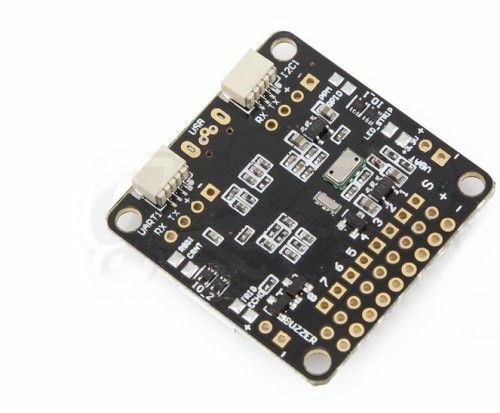 The SPRacingF3 has a standard 36x36mm form-factor with 30.5mm mounting holes and weighs just 6 grams. gets more done in less time. Loop times up to ~2x as fast as previous-generation STM32F1 based boards. *OneShot ESC. Full support for OneShot ESCs for easy PID tuning and a sharper response. *Programmable LED. Dedicated output for programmable LEDs - great for orientation, racing and night flying. *Sonar. Sonar support for precision low-altitude hold. *Buzzer port for audible warnings and notifications. *The SPRacingF3 gives you all the features you need for the heart of your aircraft, whether you're into FPV racing, acrobatic flying or aerial photography it's perfect. *Supports a variety of aircraft, tricopters, quadcopters, hexacopters, octocopters, planes and more. *Practical - Easy to access connectors and solder pads. *Configurable - Choose to use connectors, solder pads or pins. *Stackable - Mount to your PDB or OSD. *Professional - Symmetrical, Neat and Tidy.